Back to the AuSable this afternoon for what could be the end of the hex hatch. Warm weather had the big bugs hatching about 10 days early this spring. Although the hatch was reported light last night we hoped the warm weather pattern would provide one last emergence. We started fishing mid afternoon with streamers. 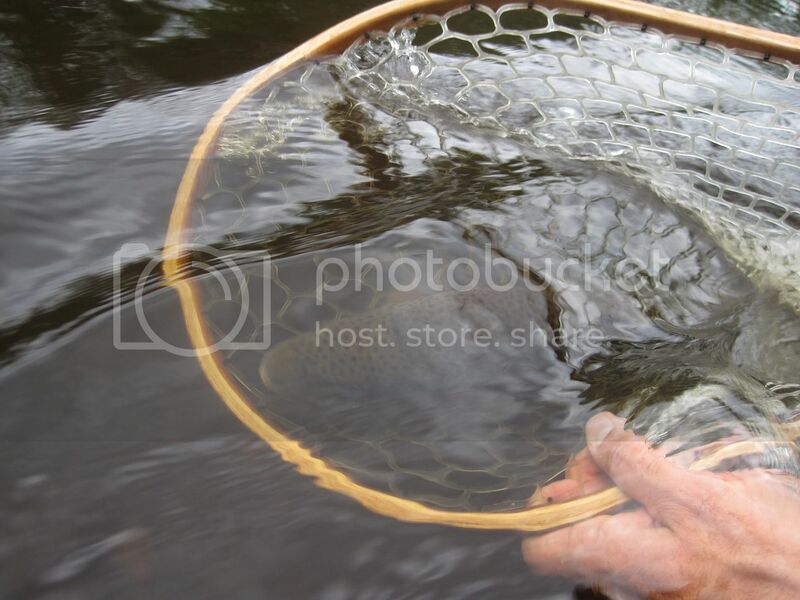 I quickly put this fat 18 incher in the net on about the 10th cast! 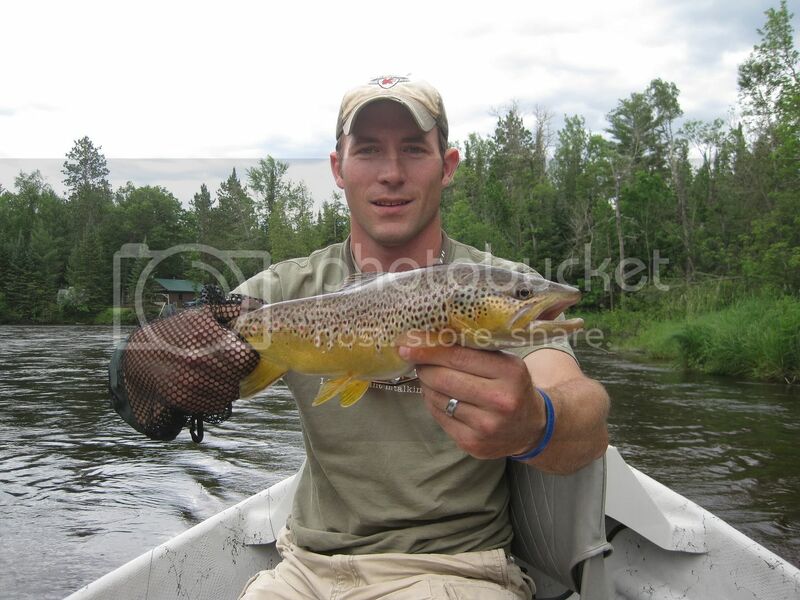 All AuSable brown trout should be released just like this one. 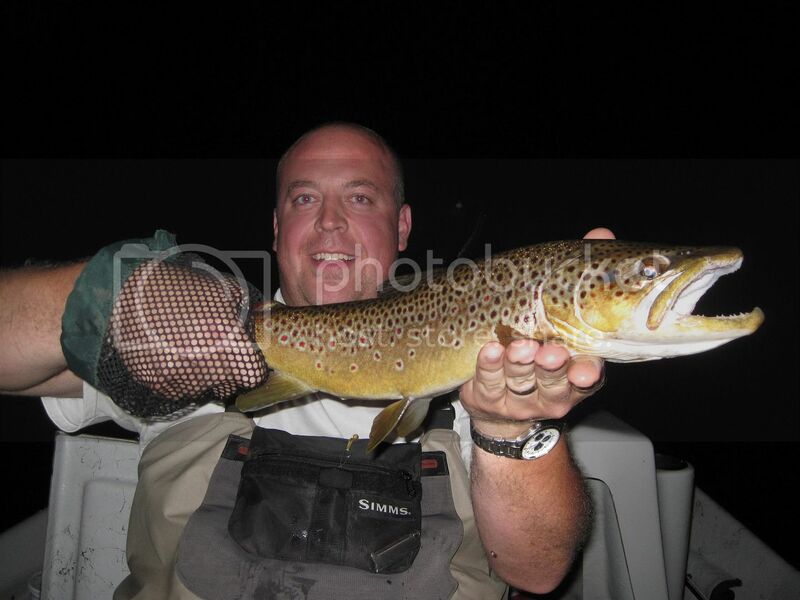 A few smaller browns chased down our streamers but eluded the net. Once darkness fell, the hex followed. A light hatch, but the fish were rising. Dustin quickly landed a 14, then followed up with this 22 in beast! Damn dude. You're wearing 'em out. Those are some beautiful browns.